Posted February 9th, 2017 & filed under Competition. How to land yourself on the Forbes 30 Under 30 list. ClimateLaunchpad 2016 finalist Chrysalix Technologies did it. 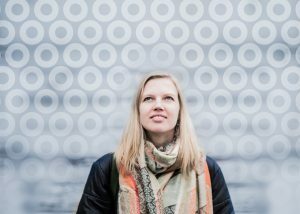 No less than thirteen of Climate-KIC’s entrepreneurs feature in Forbes 30-Under-30 Europe 2017. Only the brightest young entrepreneurs, innovators and game changers find a spot on that list. ClimateLaunchpad 2016 finalist Chrysalix Technologies is one of them. We couldn’t be more proud. We called founder Florence Gschwend to congratulate her and to find out what else Chrysalix has been up to since our 2016 Grand Final. Congratulations! You are on the Forbes 30 under 30 list. Wow. You went from having an idea to being a startup founder on the Forbes list. What stage were you in when you joined ClimateLaunchpad? How did participating in ClimateLaunchpad help you along with your company? After winning the English National Final, you won third place in the Grand Final. How have you been since then? “We’ve been great. We actually just did our first scale up trials. We are engaging with more companies, having serious conversations about their interest in our process and what data they want to see. We work with a highly technical process, so it’s important to know exactly what we need to prove to show its viable to a company. What would you say to someone who considers joining ClimateLaunchpad? “Just do it! Too many people are afraid of failure. But if you don’t fail you probably just haven’t tried hard enough. It’s a great experience, you will discover so much about yourself and meet great people. Starting a company is never easy, but with ClimateLaunchpad you meet so many people who are excited about what you do. That makes it a lot easier to go on. For me, the experience of trying to start this company has been really great. It has shown me that I can do so much more than stand in a lab. It has given me more career prospects and made me discover skills that are not measured or rewarded in university. Having the chance to do something completely different was really exciting. It changed my future. I can’t imagine spending any more time in academia from now on. 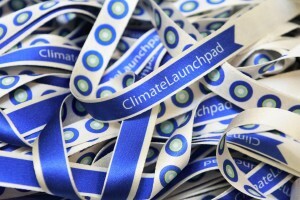 Want to join ClimateLaunchpad? Apply your green idea or become a partner.